Olly, Role Model and Big Time Adventures for Kids! Olly is a happy and outgoing bird, a great example for children who want to improve their community! He goes on many educational fun adventures in Miami, his hometown, to send kids a positive message. 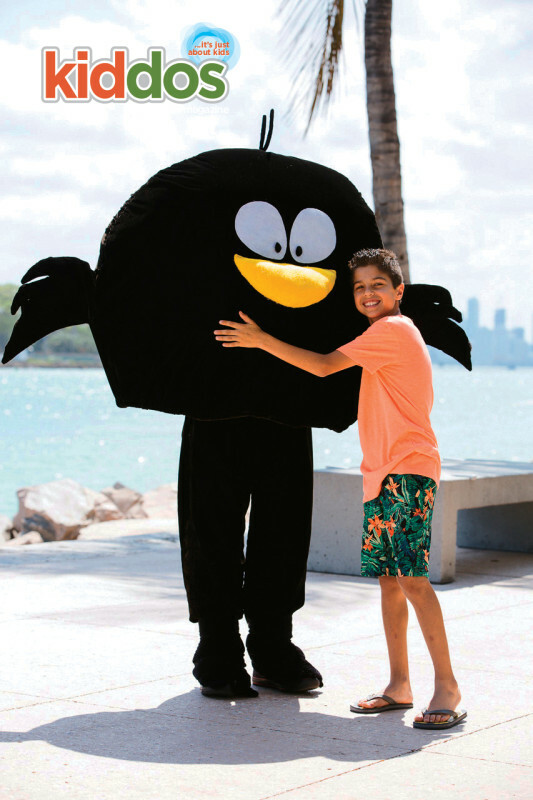 The City of Miami is known for its culture, art, tropical vegetation, and beautiful beaches, and Olly is on a mission to encourage kids and families to enjoy the vibrant city as much as he does! Our Kiddos Kid Reporter enjoyed Olly’s bubbly personality in an interview with his creator Maria White and learned more about his mission. Olly is a unique role model who interacts with kids living in and visiting Miami. He teaches them about protecting the environment and opens them up to new educational opportunities in the neighborhood. 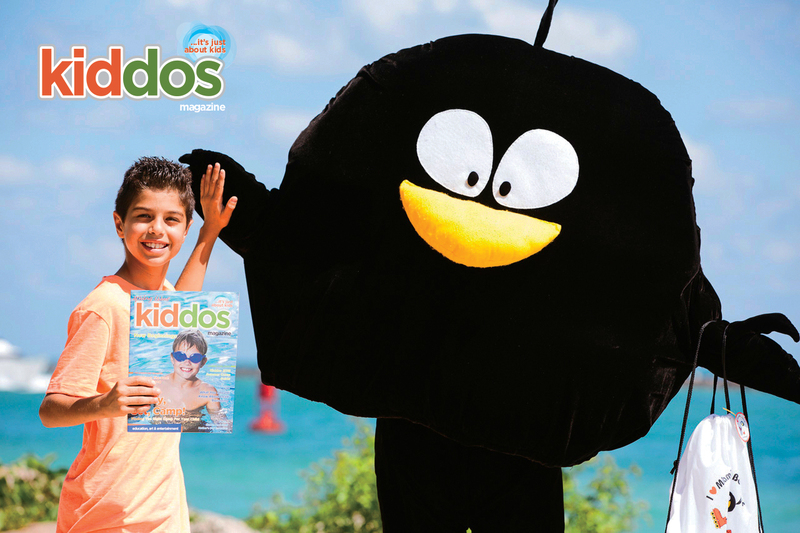 He always shares useful tips that kids can connect with: keeping our beaches clean when having some fun in the sun, being kind to all animals, taking good care of your body and mind, and many others. The cheerful bird is eager to explore and learn about the city and invites everyone to join in. Our Kiddos Reporter has also found out about Olly’s latest actions that help our community. Let’s tag along with Olly and make a difference! The Kiddos Kid Reporter: Can you tell me who Olly is and how was this idea born? Maria: Olly is a happy character that lives and plays in Miami. The idea was born because I didn’t like the characters that I saw for kids. I thought that some of them had dark, negative and inappropriate messages, so I decided to create something fun, nice, and positive for the kids. The Kiddos Kid Reporter: What are the most important values that Olly wants to share with parents and kids? Maria: For Olly, the most important values are family, honesty, loyalty, trust, and friendship. The Kiddos Kid Reporter: What is Olly’s role in our community? Maria: Olly believes that it’s possible to create a better world around us, and that everybody can make a difference. If we all collaborate and work together then we can create a wonderful world. Olly also visits schools and homeless shelters to talk about the environment and give encouraging messages for kids and adults, too. The Kiddos Kid Reporter: What are some of Olly’s latest adventures? Maria: On Olly’s latest adventure, we visited lifeguards in Miami Beach and learned about the difference between the warning flags on the beach and we also learned about rip currents. If you are swimming in the ocean, it’s important to always be near a lifeguard. The Kiddos Kid Reporter: It’s almost summer. What are Olly’s plans for the summer? Maria: Olly has big plans for summer. Olly and I are going to organize a cleanup on the beach and Olly will be teaching kids about how they can take good care of their minds and bodies, like staying active, eating more veggies and drinking a lot of water. Olly will also visit the water parks, go to the ocean, go kayaking, and visit the wonderful parks in Miami. The Kiddos Kid Reporter: Can you describe Olly in three different words? Maria: Friendly, fun, and positive!